Providing credible and reliable information related to disaster preparedness, mitigation and recovery. Texans with disabilities or special needs are encouraged to prepare for hurricane season and other disasters by planning ahead of time. Review available resources in your community. Identify your capabilities and needs. Prepare an evacuation supplies kit. To find out more about programs in your area that may accommodate people with special needs, contact your local emergency management office. If you cannot drive or are unable to make arrangements for transportation in the event of a hurricane evacuation, you may register for assistance by calling 2-1-1. Officials in your area will use the information in the registry to make sure you receive transportation. Creating a support network of family, friends, and service providers increases your chance of having a smooth and successful evacuation. Make a list of family, friends, co- workers, personal attendants, service providers, and others who would be willing to be a part of your evacuation plan. Make sure to choose people from each location where you spend time. Discuss your plan with your support group. Make them aware of what they need to do to assist you. If you receive special services (home health care, dialysis, transportation), share your plan with them. Find out about their emergency plan, and inquire about back-up services. It is essential to create an emergency preparedness and evacuation plan ahead of time, especially for the special needs population since they often depend on others (support groups) to help them with daily tasks. Have a plan for each of the places that you spend time at on a regular basis (home, work, school). Share and discuss your plan with your support group. Let them know what they can do to help you during an evacuation. Decide what type of transportation you will use if asked to evacuate (family, friends, private transportation service, public transportation, 2-1-1). Decide where you will shelter if asked to evacuate (family, friends, public shelter). Consider how a public shelter would meet your needs. What type of communication devices do I use? What type of transportation do I depend on to get to work, school, appointments, or other places? Do I receive medical treatment? If so, what type (dialysis, glucose testing, insulin)? What types of medication am I taking? Does the medication need to be refrigerated? Do I need assistance with personal care and hygiene? Does my medical equipment depend on electricity to operate properly? Do I use a device to help with mobility, such as a walker, cane, wheelchair, scooter, etc.? Do I have a service animal? What items do I need to care for my animal? Once you have determined what resources you may need, find ways to access these resources. Build a kit. You may also contact your local authorities or United Way or Red Cross to find out where a substitute resource may be available. Common forms of communication may not be available during an emergency situation. Make sure you have alternate ways to communicate by planning ahead. Supply members of your support group with a list of everyone in the group, along with names of your doctors and other care providers. Make a list of local and out-of-town contacts. Plan on an alternate form of communication in case phone lines are down (assigned meeting place, pagers, e-mail). Download, save or print this resource before a disaster happens! Materials adapted for use in Texas by Lisa Norman, Extension Assistant – Emergency Preparedness, Texas AgriLife Extension Service. June 2007. Original content developed by Texas Governor’s Division of Emergency Management. Updated by Josefa Pena, Extension Program Specialist, September 2013. 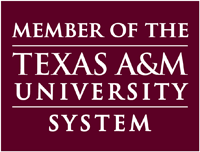 © Copyright 2004-2019 · Texas A&M AgriLife Extension. All rights reserved.